The official tourism site of Valencia has hosted live webcams all over the Costa Blanca. These take a photo every 10 minutes, 24 hours a day. Great for checking on the weather in Spain whilst in the UK! 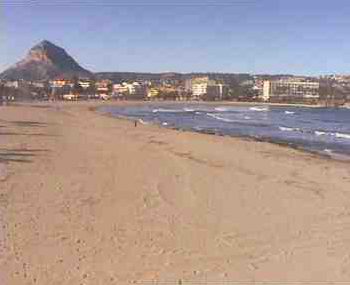 Image taken from the Javea webcam at the Los Remos La Nao Restaurante at 3PM, Friday 16th January 2009.